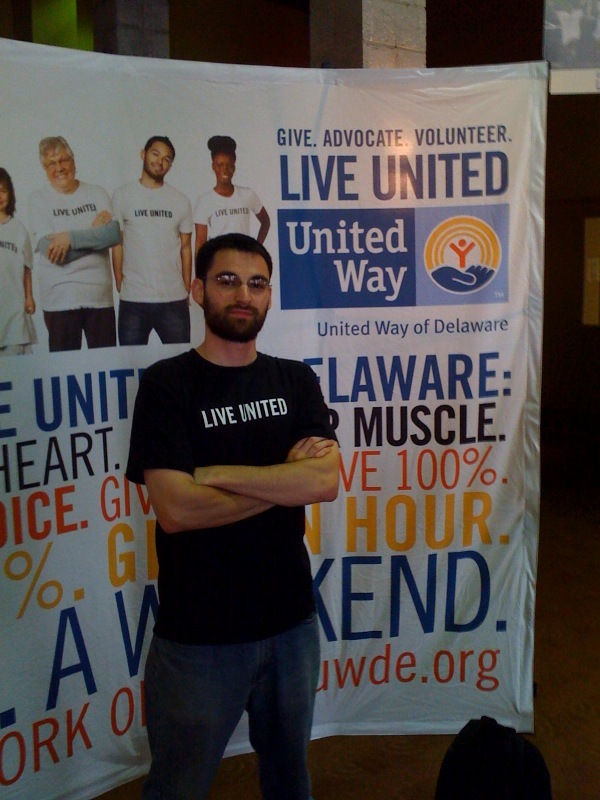 here i am at the united way of delaware’s annual meeting. they invited me to come perform for them yesterday in wilmington, de to help re-inspire their board members and supporters. i’m sorta giving the “did you take the picture yet” face in this one. oh well. i had a great time and everyone loved my poems. i will paste my live united poem at the end of this post. 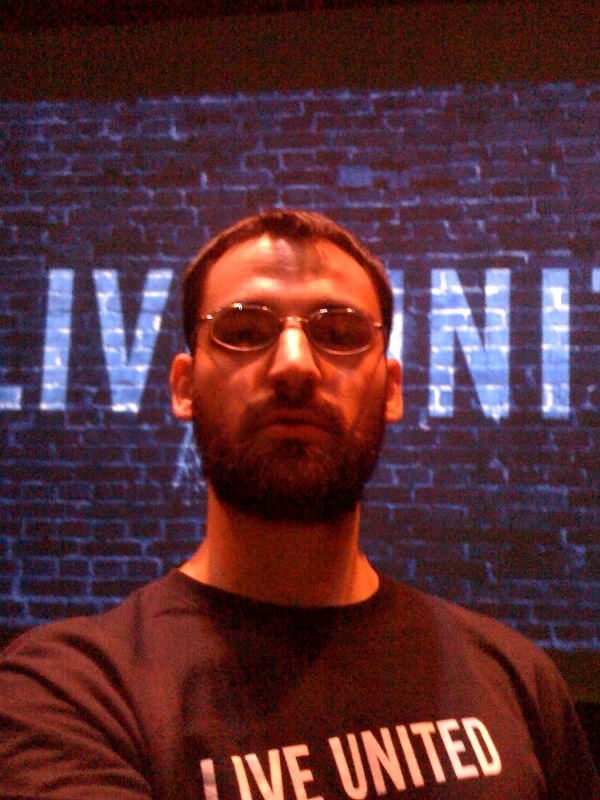 here i am on stage in front of the blue brick background where i was performing. not sure if this is a better pic or not. i had a lot of fun and made some great contacts. the event was held right on the river at the delaware theatre company, right next to the train station. on my ride home to dc there was the most beautiful sunset. i would look up from my book occasionally to catch a glimpse of the most serene scenes on the water or in the trees as we whizzed by on the rails. i finished a book my friend gave me, and learned an important lesson about lending books. you gotta tell someone if the book is going to make them react in ways that they might not want to in public. fortunate son by walter mosely is a fantastic novel, but it is super sad. so here i was at this conference, or in my hotel, or on the train, getting super depressed and crying while reading the heart-wrenching story of lucky and his brother eric. not cool. i don’t mind crying, but it was really weird to be doing it in public while everyone around me was all happy and excited. i look forward to returning to delaware. i grew up in maryland, but have never really spent much time in our neighboring tax-free state. here is one of the poems that i did for the great united way peoples. Previous Post it’s been a long time . . .